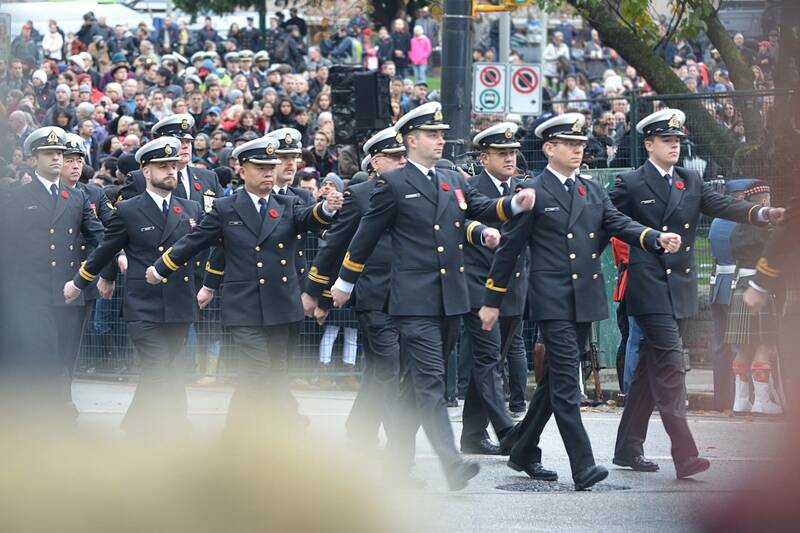 Nov. 11, 2017 12:45 p.m.
Across the province, thousands of British Columbians took part in reflection Saturday, in honour and memory of military personnel who have served, are serving or died while protecting the rights and freedoms enjoyed by Canadians. In Vancouver, hundreds gathered at Victory Square, where poems and songs were performed. The last post was sounded at 11 a.m., to begin two minutes of silence, followed by a 21-gun salute and a flyby from the Royal Canadian Air Force. More than 70 wreaths were placed around the Cenotaph, honouring the almost 200,000 Canadians who were killed or wounded in the First World War, the 68,000 personnel who were killed or wounded in the Second World War, the more than 150 Canadians who were killed in Afghanistan and the 130 soldiers who have died in peacekeeping missions.